Sometimes, a soothing cup of tea is an act of kindness. Whether from weaning or baby loss, excess or unwanted breast milk can intensify discomfort during an emotional time and cause sore, aching, engorged breasts. 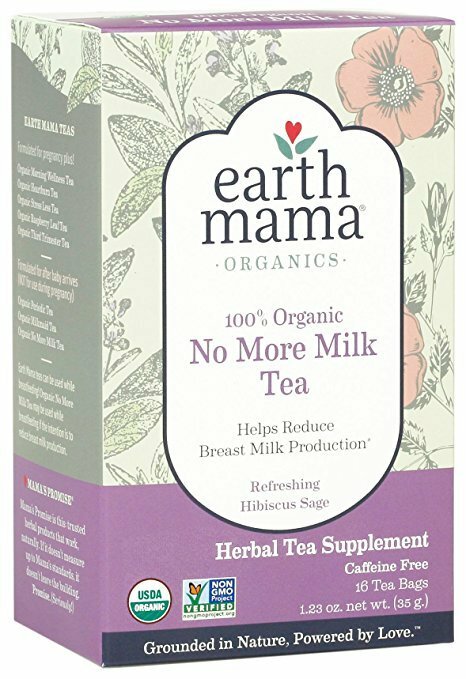 Comforting Organic No More Milk Tea is formulated with anti-galactagogue herbs including sage, peppermint and parsley, traditionally used to help reduce the production of breast milk during when it is no longer desired. Bonus: a tangy note in the form of Hibiscus flower. Healing Hearts Baby Loss Comfort offers resources, support suggestions, and a safe space to honor grief.